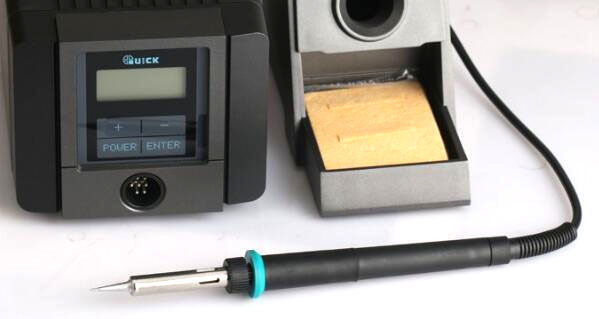 QUICK TS1100 is an Anti-static smart lead-free soldering station. 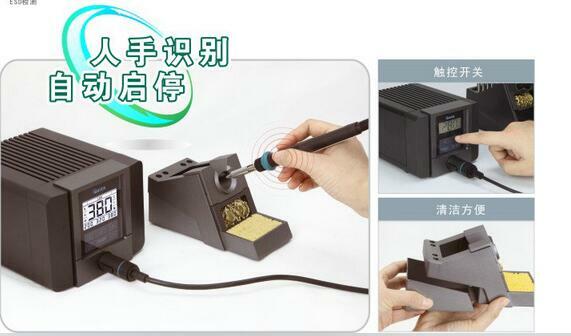 this Constant temperature adjustable welding iron table is 90W. Fast switching 3 different temperature points. 6. Touch button shape beautiful, waterproof moisture, easy to operate, long life. 7. Sensor placed in the top of the heating core, speed heating, temperature control accuracy. 8. Fahrenheit / Celsius two standard temperature mode free switch. 10 password lock function, effectively protect the production process parameters are not free to modify. 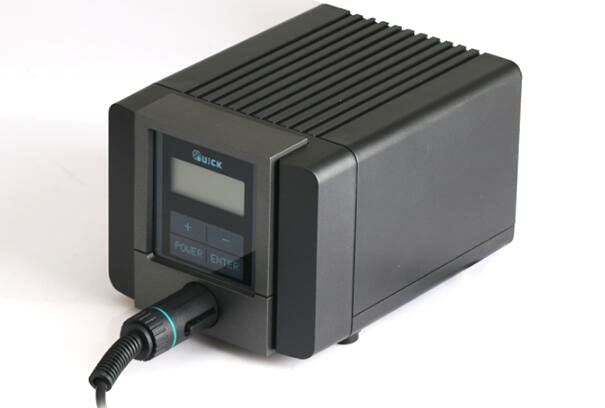 11. more intimate security design, response to sudden power failure, without confirmation will not self-heating, to ensure safety. Intimate configuration, The New 4-cell iron tsui jack, Distribution of high temperature clean cotton. 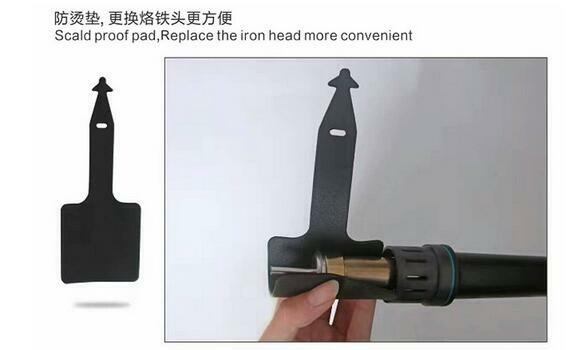 Welding Tsui easy to replace, versatility, that is, for use.